Jose Mourinho’s tendency for hard love and criticism may be getting out of hand. The Portuguese gaffer has built quite a reputation for being critical of his players, often under the banner that it will be the best for them, and doing it when and where it hurts is the ideal way to go forward. 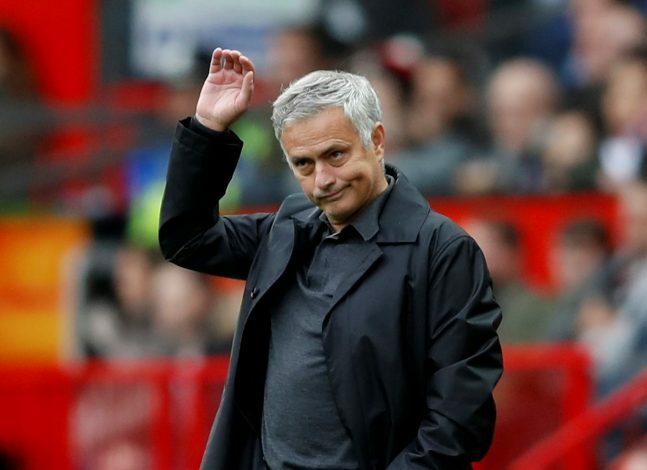 However, judging by the current crisis at Manchester United, it seems very likely that this isn’t the best of times to be opting for antagonizing measures. Just last week, the former Chelsea manager apparently critiqued Paul Pogba before stripping him away from his vice-captaincy, that too in front of the entire squad. Now, he may have gone ahead and done something similar to another star player. As per Chilean journalist Maks Cardenas (via the Mirror), Mourinho reprimanded Alexis Sanchez in front of his teammates, and then went on to drop him from the match-day squad that traveled to West Ham United. The result was embarrassing, with an often toothless United being schooled to a 3-1 loss to the Hammers, with Marcus Rashford’s sole effort being their moment of consolation. It is believed that Mourinho is frustrated with Sanchez’s drought so far this season, and is unhappy with the fact that the Chilean star is not bringing in the requisite quality. His swap transfer from Arsenal in the winter, coupled with a long-overdue break this summer, was expected to unleash a Sanchez that would be United’s chief strength of attack. However, that hasn’t proven to be the case, and Saturday’s debacle shows that Mourinho can’t afford to experiment with attacking options. Besides, with the sour manner in which the rapport between him and Pogba seems to be progressing, it really doesn’t seem to be the wisest of choices on his part to go ahead and rustle up another big name. Will this all add up to a Mourinho departure?